I miss you, Vancouver. It’s Thanksgiving and I miss you. STAR Magazine via Celebitchy just gave me a reason to write about it. According to STAR, Ben Affleck will be shooting Superman & Batman in Vancouver. And since he supposedly fingered a girl in Vancouver while he was engaged to JLO, they’re saying Jennifer Garner’s going to lock him down when he’s there because she hates how he behaves in Vancity…what? This is why it’s amateur hour over at STAR. Because the interns writing their fiction haven’t bothered doing the research. Sure, Ben was all over the peeler bar as a way to get out of his JLO situation. 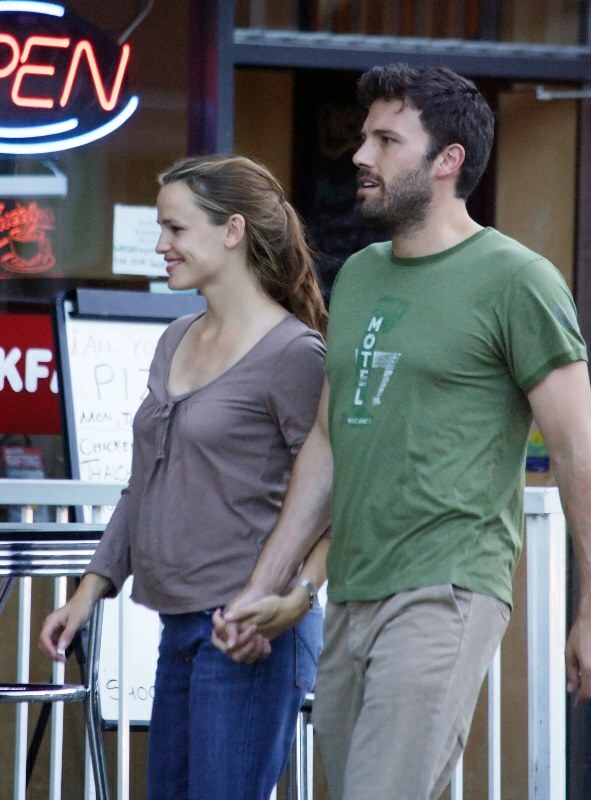 But AFTER he and JLO broke up, he and Jennifer Garner spend a LOT of time in Vancouver. In fact, they spent the early days of their marriage in Vancouver because she was shooting Catch & Release, I think it was. And she was pregnant with Violet. And they had a wonderful time together. Vancouver is where one of my favourite photos, all time, of Ben was taken: the one of him reading Harry Potter, remember? They were happy in Vancouver. Very, very happy. And they returned to Vancouver for her to shoot Juno. And they were happy. Vancouver is a happy association for the Afflecks. The set of The Town, however, might be a different story. But at least STAR gave us an excuse to enjoy some Gossip Nostalgia.